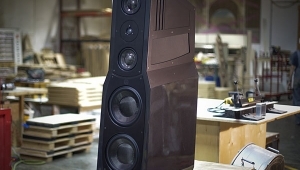 Both box speakers and electrostatics have gotten far better since that time, but Magnepan has continued to steadily improve its planar speakers. 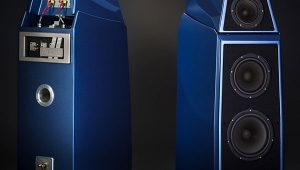 It also has introduced some superb ribbon tweeters, and while some might argue that the Decca ribbon was a serious product in the US, I still feel Magnepan should be given the credit for introducing the first successful US speaker—the MGIII—to use a ribbon tweeter. The Magnepan MGIII, introduced several years ago, may have been ahead of its time. 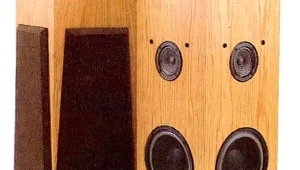 Few US reviewers and audiophiles had any real experience with ribbon drivers, and there was a natural tendency to treat them like any other tweeter. 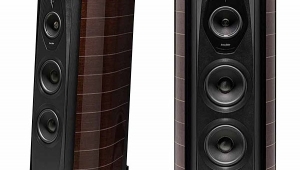 In practice, this often meant too little attention to problems in source material and to the need to readjust cables or VTA/SRA; the MGIII was too revealing of details in the highs. 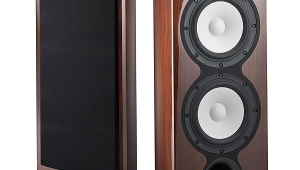 While the MGIII has since become a relatively popular speaker, many listeners initially found the highs to be too quick and detailed, and reviewers complained about the imbalance between tweeter and midrange. These complaints were and are legitimate, in part: there is still a slight discontinuity between the ribbon and midrange panel. 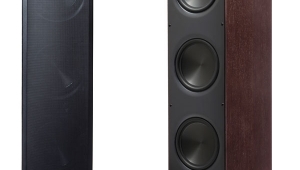 Experience with other ribbon speakers like the Apogees confirms the suspicion that ribbon tweeters which measure flat often seem to have too much treble energy. 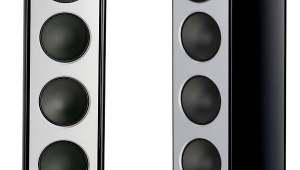 Magnepan solved some of these problems shortly after the introduction of the MGIII by offering plug-in resistors to slightly attenuate the highs, even though many user and reviewer complaints were not caused by the speaker (see above). 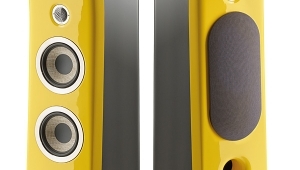 The MGIII's ribbon tweeter was simply revealing more about the input from recordings and electronics. 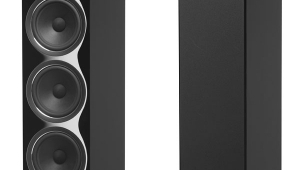 Being audiophiles, other users ignored the manufacturer's instructions (which are about as simple and useful as instructions can get), failing to give the speakers enough space from the rear and side walls to operate properly, or to aim the tweeter ribbons towards the listening area. These points are worth mentioning because they still apply. The MGIIIA is not a dramatic change from the MGIII. 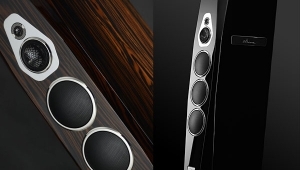 In fact, the basic change in the speaker is not acoustic, but stylistic: it is simpler and more attractive. 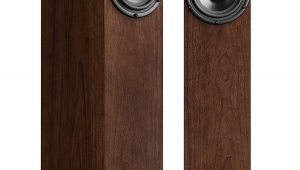 The new feet for the base and new wooden frame create a speaker that disappears nicely into the room, but retains enough style to be very attractive, joining the Acoustats and Apogees in being close enough to sculpture that most wives can live with it quite nicely. As to any other improvements in the MGIIIA, I am not sure how much they really affect the sound. 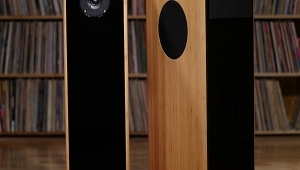 My acoustic memory is scarcely perfect, and I have had a great deal more experience with ribbon speakers since I first encountered the Magnepan IVs and IIIs. I was able to get significantly better performance out of the IIIAs than the IIIs, however. 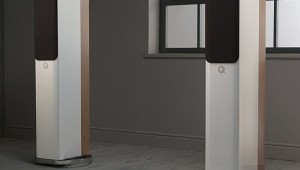 Years of fiddling with cables and interconnects, acquisition of tonearms with rapid VTA/SRA adjustment, and added experience with speaker placement all helped—which indicates that new owners are likely to benefit from the kind of dealer who will set up the speaker or come by to check it out and offer advice. The highs, as before, were superb. I did end up using the plug-in resistor-fuse assemblies to slightly attenuate the highs, but this is a matter of personal preference; I could easily live without them. With a really good cartridge and electronics (I used the Clearaudio and Monster Alpha 2 cartridges, the Audio Research SP-11 preamplifier, and the Audio Research D-250 II Servo and Counterpoint SA-4 amplifiers), the upper octaves provided excellent detail and transparency, superb coherence, and outstanding air and sweetness. Every bit of quality in the front end is mercilessly revealed, but when the "going in" is good, the "coming out" is excellent.